When our friends at NMS told us they were hosting a review event at two of MGM’s properties: New York-New York Hotel and Casino and Monte Carlo Resort and Casino from June 10 – 12, 2011 (which is just in time to kickoff the summer with some pool time and fun in the Vegas sun) and invited Bullz-Eye to join them we were all in! This visit will introduce and provide Bullz-Eye with an in-depth look at all these properties have to offer to their guests this summer. We’ve been to the New York-New York Hotel and Casino and Monte Carlo Resort and Casino in the past and we know there are many property highlights so we were particularly interested in some of events they have planned during the upcoming trip. We will be conducting tours of both properties, nightly dinners and drinks at the properties’ various high-quality restaurants, attending both properties entertainment, and setting aside time at a private cabana at the Monte Carlo pool and spa area on Saturday. Word is MGM properties will give Bullz-Eye the most comprehensive experience possible like arranging dinners at Nine Fine Irishmen (where the chef will be coming out to meet with Bullz-Eye and the group) and the AAA 4-Diamond Andre’s Restaurant and Lounge. Further, we’ll be hitting up a number of fun hot-spots at night, such as Brand Steakhouse, Minus5 Ice Bar, and ROK Vegas. We’ll also be attending shows at both properties, specifically the super hot Jabbawockeez and the incredible Cirque du Soleil’s Zumanity! 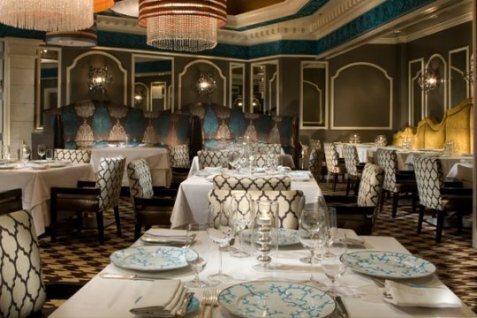 The “Exclusive” Monte Carlo Resort and Casino and “Dynamic” New York New York Hotel and Casino are in the heart of the Las Vegas strip and are quickly becoming the “hot spots” for those looking for an upscale experience with competitive pricing. Check back with Bullz-Eye in mid June for the highlights of our excursion!